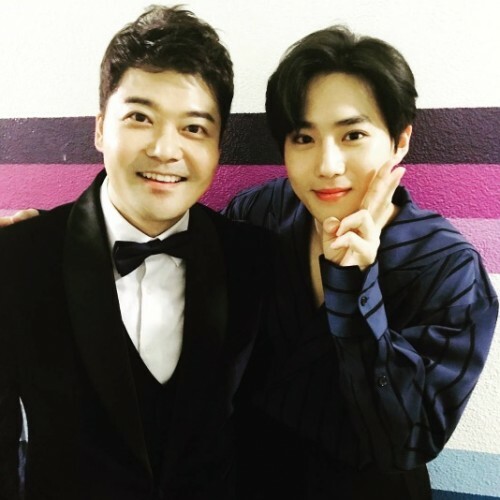 Jeon Hyun-moo, the host on KBS 2TV's entertainment program 'Happy Together', revealed a picture taken with EXO's Suho. Recently, Jeon Hyun-moo posted the photo on his SNS, and wrote, "Always unchanging and humble. 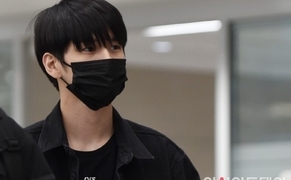 Congratulations for the grand prize today, Suho. Be yourself, always. Congratulations to all the EXO members." In the picture, Jeon Hyun-moo and Suho look friendly, showing off their friendship.